The head and ears stay safe from radiation inside Kiran head gear. 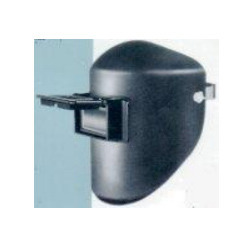 We offer Head shield and it is made of heat resistant material with flip-up type window which allows. The user to see the ongoing operation and prevents. The harmful radiations and particals from reaching to the eyes and face of the user.